The SOTAR Cup has had a varied history throughout the years of the Upper Clackamas Whitewater Festival. The recipient of this award will have given freely of his/her time and energy to promote whitewater rafting and kayaking in our communities. 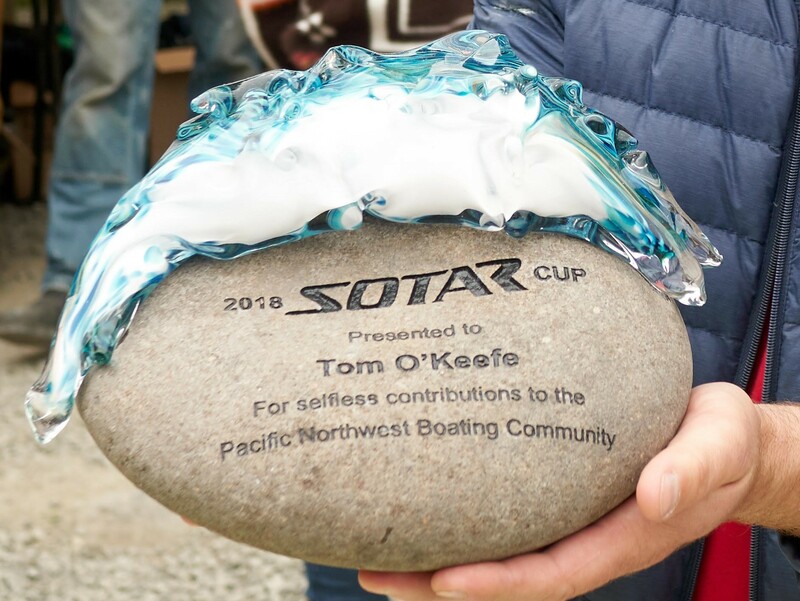 The SOTAR Cup holder will have contributed of themselves for the personal satisfaction of bringing people together to experience the whitewater of the Pacific Northwest. For 2019, the committee agreed to once again bestow this recognition upon someone who has contributed to the boating community of the Pacific Northwest, in a decidedly selfless manner. Please join us Saturday evening during the awards ceremony to see who will be recognized with this great honor.